There’s a friend of mine who will never touch white wine. Ever. I really don’t know why. I can understand people avoiding red because it can sometimes bring on a migraine. But if you refuse to drink white wine, you’re missing out on some of the great wines of the world. 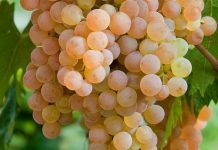 Some of my favourite whites come from the French region of Alsace, known for its splendid Gewürztraminer, Pinot Gris and the bone-dry Riesling which is completely different to its German cousin. The legendary white wines of Burgundy are probably the best whites you’re likely to find anywhere in terms of richness, depth and complexity. And you know the classic grape variety that’s used to make them, don’t you? Yes, of course you do. Even my dogs know that. It’s Chardonnay and in Burgundy they make about the best you can get. Unfortunately, in this part of the world it’s dreadfully expensive. A good white Burgundy will cost you an arm and a leg; possibly two of each. For many years Germany and Austria had a reputation for dull and boring wines but all that changed dramatically about thirty years ago. A new generation of artisan wine makers has changed the wine production in Germany in Austria out of all recognition. They are exploring interesting local grapes rather than relying on international varieties and giving a completely new look to traditional Riesling. Austrian wine-makers are developing their national grape Grüner Veltliner (GROO-ner FELT-lee-ner). With this grape, they’re making crisp, young wines which have sprightly acidity and flavours of lime, lemon, grapefruit or sometimes apple. They often have herby mineral flavours, hints of white pepper and sometimes a distinctive touch of spritziness. The more expensive, matured wines eventually take on a gold colour and a rich, honeyed character. Lower Austria is the country’s largest quality wine-growing area and almost fifty percent of it is planted with Grüner Veltliner. The local German name for Lower Austria is Niederösterreich, which I mention only because the word invariably appears on wine labels of the region. You might reasonably assume that Lower Austria is somewhere in the south, but it’s not. Strangely enough, it’s the most northern province of the country. Let’s begin by deciphering the label. Gruber (GROO-ber) is the name of the company and it’s been producing wine since 1814. 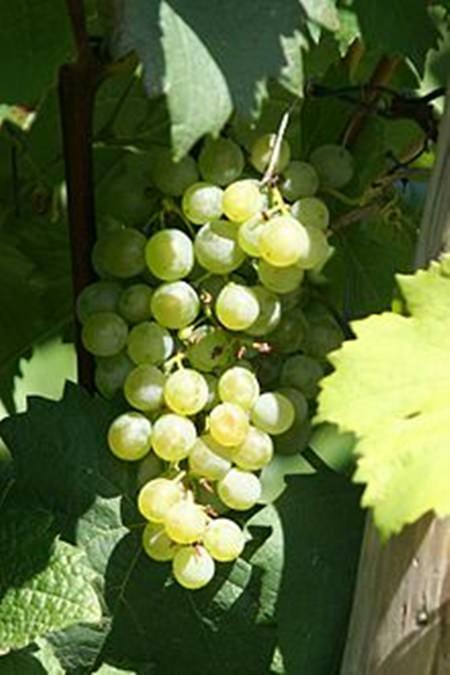 If you have been concentrating, you’ll already know that Grüner Veltliner is the grape variety. Röschitz (RER-shitz) is a small village in Lower Austria about fifty miles from Vienna. A pale straw colour, the wine looks bright and invitingly oily in the glass. The aroma is even more inviting, though you’ll need to give it a bit of time to develop. I found that five minutes in the decanter made all the difference. It has a “clean and lean” bright, floral aroma with a touch of tropical fruit, a dash of citrus, herby minerals and green apples. The fruit is well forward, giving a hint of sweetness. But after this brief first impression a more powerful drier taste comes through and leads to a long, rich and dry finish. It’s really quite a fascinating tasting experience which makes you sit up and take notice because the taste actually changes in your mouth. At just 12.5% ABV this would make a splendid apéritif if you can share it with people who appreciate these things. The wine would make an excellent partner for chicken dishes or ham, but I’d be perfectly happy to enjoy it on its own. Wine Garage offers an interesting selection of Austrian wines and they also have some splendid boutique wines from Germany. You can order online and pay by bank transfer or PayPal, which makes things ever so easy. They’ll deliver anywhere in Thailand. Pinot Noir is one of my favourite grapes and it reaches is finest expression in the red wines of Burgundy but like the whites, they’re absurdly expensive here. The aromas of Pinot Noir (PEE-noh NWAH) can sometimes be a bit enigmatic. 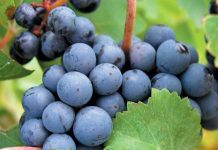 Red fruits such as cranberry and raspberry often dominate the aroma but sometimes the wine has more elemental smells, earthy, tree-bark aromas or reminders of stalks and sap. This wine comes from grapes grown in the foothills of the Pyrenees, near the town of Limoux in south-west France. The label shows a drawing of a large black sheep under which the words “black sheep” are helpfully printed, presumably in case you fail to recognise it. The wine is lighter than I expected and it’s a blend of Pinot Noir (88%) and Grenache (12%) with an aroma of cherries, currants, a dash of citrus and herby spices. With an ABV of 13% it’s a bone-dry wine with a tang of acidity but the taste struck me as rather unusual and quite different in style to a Pinot Noir from Burgundy. The fruit is restrained, the tannins are very soft and there’s a long, dry finish. I’d describe it as a food wine because it would go well with pork dishes and a variety of cheeses. Unusually for a red wine, you could even try pairing it with tuna or salmon. 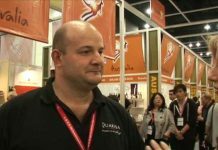 There are branches of Wine Connection in Pattaya but you can also buy online. If like me, you live out in the sticks it would save you a hike into town.